Later this week we shall go to stay for a night or two with our friends, the Kondors, in Kapolcs, Veszprém County. Think here of a wonderful fusion of the hills of Tuscany, the fertile valleys of the Dordogne and the clustered cottages of some Cotswold hamlet. To this add rolling vineyards sweeping down to the shores of Lake Balaton, wild flower meadows, bosky woods, a thriving artistic community, and the picture is complete. László, and his American born wife, Linda, are not only delightful, but the most generous and entertaining of hosts. And already, even before our arrival, we are promised country walks, wine tasting, a vintage market, new friends to be met and, if previous visits are to go by, delicious dinners eaten under the stars of a hot Hungarian night. For László is no stranger to the grill. But it has not always been so. As a young, reckless [some woud say] boy of sixteen in 1956 he, along with his brother, in the revolutionary spirit of that year, climbed on to the roof of the village school and removed the Red Star which topped the building. Facing years in a Labour Camp, and possibly the firing squad, they fled to Austria, escaping across the heavily guarded border at night, and then later to the United States. 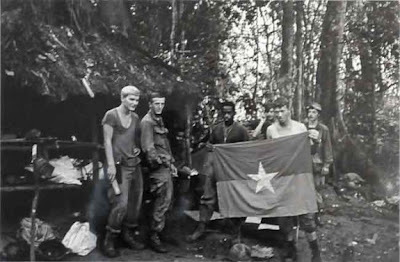 Still under thirty, and by now an American citizen, László enlisted in the army where he served his adopted country with distinction in Vietnam both as a combatant and as a Combat Photographer in the DASPO [Department of Army Special Photographic Office]. His photographic record of that war continues to be acclaimed and examples of his work are to be found in museums and galleries, as well as private collections, not only within the United States but also throughout Europe. Today the walls of the Kapolcs house display examples of László's work reflecting a lifetime of corporate and fashion photography. But, whilst the camera may be set aside, life continues to be as rich and varied as it ever was. More so, perhaps. As always, we anticipate fun and adventure! Sounds like a break that I could do with. Not only the bucolic countryside you describe, but the fascinating life of your hosts. I'm slowly hatching my own plot for an exeat, but the pieces of that jigsaw are still not quite fitting together yet. The village looks stunningly beautiful and your friends sound fascinating, and oh so talented! Sounds like you are in for a wonderful time (I am still picturing you wandering around the market, sharing the fairy crown as you go ;) ). Enjoy! I googled the town It looks from the map to be in a lovely area. What a interesting life he has lived. Great story! I hope you'll have a pleasant stay in the countryside! My father served three tours of duty in Vietnam. Just recently, he completed six weeks of intensive treatment, alternating chemotherapy and radiation as he was diagnosed with prostate cancer due to his exposure to Agent Orange. Two weeks ago, a blood test confirmed the cancer was in remission. During his treatments, my four siblings and I each took a day of the week to email memories and happy stories of our childhood in Dad's honor. It was a bonding time like no other in our adult lives-- a step back in time to when we were all elbowing each other under one roof. Dad also snapped many photographs during the war. May your time with the gifted, spirited and seasoned Kondor and his no-doubt lovely American-born wife be one that paints over any lingering sadness with the vivid depths which issue out from the twin angels of survival and overcoming. And as you travel, my dear pair of Hattats-- Godspeed. Yes, we are looking forward to our visit and it will make a pleasant change to be out of Budapest, where it has been very hot, and to have some country air. We do hope that your tentative plans to be away come to fruition. We shall wait to hear. Kapolcs is a most delightful village which is, perhaps unusually, inhabited by a large number of artistic people, many from outside of Hungary, who have settled there. Each summer there is an Arts Festival which attracts large numbers of visitors. As we shall travel there by local bus [a three hour journey] we could, for the benefit and possible amusement of our fellow passengers, be wearing the 'fairy crown' en route. The whole of Veszprém County is very, very attractive and often, from the hills, there are wonderful vistas of Lake Balaton which is, we understand, Europe's largest inland stretch of water. We are much looking forward to our stay. Thank you. Time spent with László and Linda is always great fun and with never a dull moment. And at this time of year the countryside is at its best. You will then absolutely identify with this post where László's time in Vietnam is concerned. Of all his available pictures to post, we felt that many were far too harrowing in their portrayal of that most dreadful war. And we so sympathise with your father, not only for the experiences which he must have had during his 'tours' of duty in Vietnam, but also because of his cancer. Long may the treatment be successful and the remission last. What a lovely idea during your father's illness to be in constant email touch and to revive happy memories. We know, from our own experience, that these small things have a value beyond measure and are lasting. And, Suze, you always write in the most poetic and sensitive manner. You are, we believe, the most imaginative of people; and your words, we assure you, are never wasted. Visual communication is a powerful medium: something your story clearly shows. Your choice of images today, for instance, will affect the reception of your post. Have a happy time with your friends. It sounds like a delightful visit. What time will you pick me up? They sound like interesting hosts and I enjoyed the "Figure on a Staircase" very much. Have fun! As ever, Jane and Lance, your post is stimulating, original and unexpected. You manage to raise serious issues, yet express them with a light touch, being neither heavy nor vacuous. You leave this reader wanting to know more. May all of you have a wonderful time in Kapolcs! What an absolutely wonderful looking/sounding place, makes me want to pack a bag and discover it for myself! Your friend has had a very colourful and courageous life, and now maybe less dangerous but still so full. Would we could all say the same. I sometimes think, especially when I consider my grandparents' generation, that my generation of British children have grown up with so little asked of them that we take too much for granted and expect life to come to us on a plate. That is what is sometimes said of the British population isn't it, marvellous in wartime but lazy in peacetime? or unfair? As we are very poor photographers we have to spend much time looking for images which we hope to convey the message we are intent on giving. We take it as a great compliment that you, who uses such beautiful and powerful images, should find them of interest. László's fashion photography is stunning although he is always reuctant to share it, believing,perhaps that it belongs to another country and another life. The bus leaves the main Budapest bus station at 2.15pm on Thursday. See you there! Faisal, thank you so much for your kind words. People's lives are so often, we find, a compelling mixture of the wonderful, the bizarre, the frightening and the amusing. There are, therefore, so many stories to be told. I think the heat is stifling everywhere, now. It's inescapable. Have a pleasant and safe journey. By the way, if at any point you decide that perhaps you could use a Mad Girl in lieu of a Mad Boy, I will happily oblige (in absentia, unfortunately...)! What a great place to stay and what a great host to have! Often referred to as the 'Hungarian Provence', this area of the country is particularly beautiful. And, for us, is the closest countryside in Hungary which resembles the English countryside, but of 50 years ago. You make a most interesting point here about the times in which we live. Do the times make the people or the reverse? Whatever, we should, as you say, never fail to give thanks that we enjoy the gift of living in peace. You certainly have some fascinating friends. Brave, too. I've just read your response to Gardener in the Distance - (it's the last one so it caught my eye - wish I had the time to read all the comments) - and you're right. People's lives can be deeply interesting - and more enthralling than fiction. I think if some stories were written, based on true events, we might find them hard to believe. That region you are going to visit sounds glorious - hope you have a lovely time there. Oh yes, the conversations! It is such a long time since we last saw Linda and László that we are sure we shall be talking well into the night! It is the most glorious, unspoilt countryside where one can walk through fields of wildflowers at will. And, not another person in sight! This seems just perfect for a weekend! Beb I love the picture of the lady on the stairs. I hope you have a lovely time there! Escaping from the City will produce some respite, especially as the buildings seem to radiate the heat from early afternoon onwards. 'Mad Boy' is only used as a generic term since we fully support gender equality in all matters. We shall, until perhaps we are fortunate to meet, enjoy your madness through your most witty and eclectic blog! Both Linda and László are very creative people and wonderful cooks. Yes, a good time will definitely be enjoyed by all! Stranger than fiction, most certainly we agree when applied to someone like László. One can barely imagine what it is like as a mere teenager to leave behind everything - family, friends, security - and start again from scratch, learning two foreign languages on the way! Thank you so much for this very inspiring post. It says so much about your friend and his ability to let his fearless fuel a powerful life. I too was fascinated by the very Marlene "Figure on a staircase" as well as the seemingly more abstract pieces in the studio. From revolution to evolution! We have a particular fondness for black and white photography, a medium which László uses, we feel, to great effect. 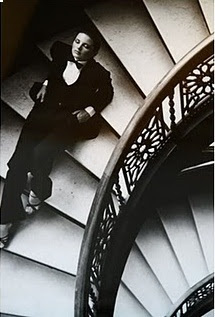 The woman on the staircase raises so many questions for us.....why is she there, what event is taking place, what a curious mixture of tuxedo, bow tie, white shirt and strappy high heels.....It is these mysteries which draw us in! Yes, that sums it up perfectly, revolution to evolution! And, yes, the figure on the staircase, very Marlene Dietrich, except that our final image of her from a theatre in Coventry [of all places]is with a cigarette and a drink and blurring her words poor thing. However, she did still look wonderful in a long silver lamé dress. Like your description of Veszprém County this post has everything: drama, art, humour and charming dialogue ... Ahhh, to be a fly on the wall for the conversational goodies sure to abound upon your arrival. Bon Voyage and Happy Tales to Tell!!! Not just another world here but several other worlds. And most surprisingly, I feel lost for words! I am sure you won't be - have a wonderful break with your friends! After my time on London's Stock Exchange, I managed an Art Gallery near Harley Street that was owned by a wonderful Hungarian man; Miklos Vilag. His stories of wartime daring-do were endless, but HE ended up in London. The tales of your friend remind me of Miklos.... brave men! It really sound beautiful there and you hosts sound so interesting. Thank goodness times have changed. What a beautiful place and a fascinating life you describe, Jane and Lance. The Hunngarian Revolution is the first international news item that ever registered with me - I was 10 at the time. What an incredibly interesting man, and what a life he has lived! Thank you for sharing your friend with us. I bet he has many good stories to tell. What a beautiful place and somewhere that I think we would love to visit. It sounds perfect. ....and, what a life, Laszlo apologies for not knowing how to put accents etc above letters !! )has had.....rebel, hero, adventurer, photographic talent and very brave to boot. I love the examples of his photographs that you have shown us. Does he always photograph n black and white ? I love B&W photography. It sounds as if you will be having such a great time and I look forward to hearing all about it when you return. I'm off to my sisters for a couple of weeks while our husband's explore Spain in the Morgan. Thank you, Katherine for your kind words. Yes, we are sure that we are in for a rollercoaster of a weekend. So much gossip to catch up on! Yes, that is such a good thought. There are indeed so many different worlds here which will collide together in the deepest Hungarian countryside. Strange! Kapolcs is full of interesting, creative and, dare one say, rather 'alternative' people. So, one never knows quite what to expect. A German travel writer, a Dutch musician,an American food critic or a Hungarian entrepreneur, these we have met previously. But, of course, there could be someone new....and Mad?!! 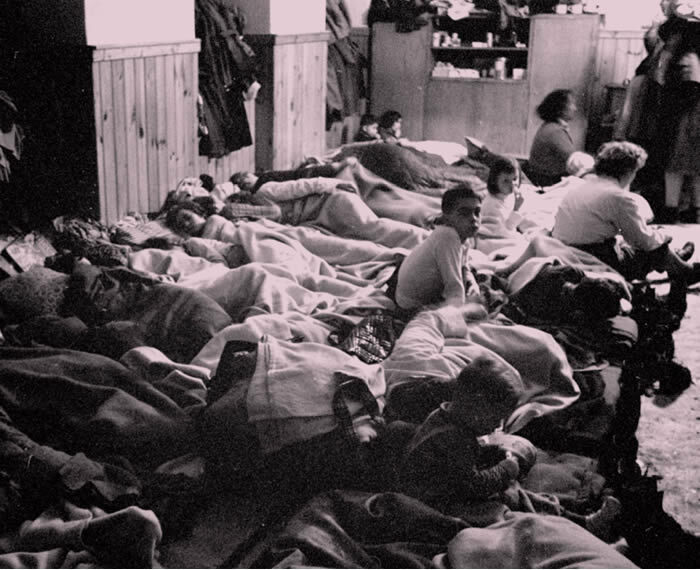 It is truly amazing where these 1956 Hungarian refugees finally made their homes and how they forged lives for themselves from the most basic of beginnings. Brave indeed and resourceful, no wonder there are so many famous Hungarian inventors! 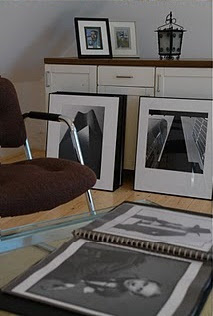 It is, of course, glorious fun to look through the portfolios of photographs in the studio. However, encouraging László to share his work is no easy task and these days he is never to be seen with a camera. Yes, it is strange that you should mention this, since, in our childhood we believe that we were seriously badly educated in international affairs which we remember featuring only sporadically on the radio or television. And, as you say, the Hungarian revolution changed that completely. Thank you for your good wishes and Bon Voyage to you too. We wish you the most happy and exciting of holidays, Dani, as you have waited so long for this moment to arrive! While the locals might be more interesting, how well would it compare to a Cornish fishing village? While I know rather a lot about the Vietnam war, and forgotten much too, I have not heard of Kondor. Perhaps I should know more. Enjoy your country sojourn. Yes, we love black and white photography too, much preferring it generally to colour. Although László's work is not entirely monochrome, there is a heavy emphais on black and white images. These do seem to work particularly well when capturing people and war zones, we feel. Enjoy a happy time with your sister whilst your husbands tour in that most stylish of cars. We look forward to reading what mischief [no doubt] the two of you will get up to! Comparisons with Cornwall are tricky since, for us, the Cornish coastline is so very beautiful and the Atlantic waves particularly dramatic. However, the village itself has the same kind of quaint charm, albeit without the same architecture, and fortunately has nothing like the crowds which fill many towns and villages in Cornwall these days. The National Veterans Art Museum, based in Chicago, holds many examples of László Kondor's work if you are interested to look him up. In Vietnam he earned the nickname 'Marlborough Man' because of his passion for smoking cigarettes! What jet setters you are, though I suppose this is just a short train or car drive from Budapest. Kapolcs has me tinging with excitement. A truly magical place and I will be waiting patiently to hear more of your visit. Laszlo Kondor has had a truly remarkable life and lived with such purpose and bravery. I am anxious to hear more about Laszlo & Linda but in the meantime, relax and enjoy every minute of your visit. I have come to look forward to Hattat posts. I saw your post on my dashboard earlier and thought I'd keep you for the small moment of peace of quiet I enjoy just after lunch (while kids are in front of cbeebies). I'm glad I did. What another interesting, thought provoking and perfectly illustrated article. It sounds like the perfect holiday and as I contemplate a long grey Scottish summer I cannot help but let out a very loud envious sigh. Oh well - that'll be the silence over - mum is being hollered from upstairs. Thank you - I'll look forward to reading all about the holiday. Dear Jane and Lance, the village reminds me of Tuscany a lot. The activities that are awaiting you sound very appealing indeed. Have a wonderful time - I look forward to hearing about it and perhaps seeing some lovely images? We shall travel to Kapolcs by bus. It is the most wonderful 3 hour journey taking in glorious countryside and going through some interesting towns and villages on the way. Yes, there are more, many more stories to tell of László and Linda but we shall check with them first before publication! What fine and inspirational company you Hattats keep. We are so delighted by your most kind words and are pleased that you feel that our posts are worthy of the few precious moments you have to yourself in what must always be very busy days. We have to say that we do enjoy the summers here and do not miss the inconsistent summer weather of England. We do hope that you will also enjoy some sunshine since it makes it so much easier with small children at home for the holidays. Yes, Tuscany without the Cypresses, this whole area could certainly be mistaken for it. And, of course, the same orange tiled roofs so reminiscent of Italy. And, although László will be certain not to pick up a camera, we shall take ours along! The company of interesting people is one of life's greatest pleasures we feel. Nothing more is needed, except the odd glass or two of something alcoholic! It sounds as if you are in for an entertaining respite. I am certain you will return home with fabulous photos, stories and memories. I hope you will share! Be safe! Entertaining, certainly. Respite, probably not. We shall no doubt return home exhausted with the excitement of it all, but that is exactly how we like it to be! When listening to accounts of Budapest in 1956 we do wonder what we should have done if we had been Hungarians living here at that time. It makes us very grateful indeed that we have not had to make such difficult and, at times, heartbreaking choices. We are really looking forward to it. It has been too long since we last saw the Kondors but, like all good friends, we just know that we shall be able to start up again where we last left off. László certainly makes us feel that we have lived a pretty sheltered existence in comparison. I love reading your posts. I feel as though I am both entertained and educated. Thank you for that. Thank you for such a generous comment. But, if only we could take photographs as well as you can. That is what is so endlessly satisfying about the Blogosphere, so much that is new to see and learn from every day! I wish you a wonderful visit with your very interesting friends. What a life this man has lived. Unfortunately, some of it was involved in very difficult times. I do hope he is well in both spirit and being and the life he lives now is peaceful and fulfilling. When you return, please print some pictures of your trip. It looks like such a beautiful place to spend a vacation. One does have to marvel at people who have survived the most terrible of situations and not just lived to tell the tale but have forged a new life for themselves without recriminations. A lesson to us all. Kapolcs is indeed the perfect place for a holiday or to live permanently as it is within easy reach of Budapest and transport connections are good. László sounds like an interesting friend and your visit will surely be grand. The countryside with friends is refreshing to the soul. I would love to see what treasures you find the vintage market, if you are inclined to share. We do so hope that we shall find 'treasure' at the vintage market. On the occasion of our last visit we were hesitant about a rather charming woodcut and when our minds were fully made up, it had been snapped up by someone else. We shall not make the same mistake this time and will arrive early! It's so wonderful being introduced to facsinating and interesting people and beautiful, fairytale like places. Have a lovely time with your friends and we look forward to hearing about your village adventures upon your return. Interesting people and a beautiful place. Sounds like a divine trip. Let me first say how much I enjoy our 'correspondence'. Laslo not only has a beautiful name, he sounds like an interesting and special person as well. One who is not afraid to stick out his neck. I am impressed by his photo's. There is something about black and white fashion photographs.... They look so very stylish! I hope you will have a lovely time in the countryside. We will be off to Paris and Normandy the coming weeks. In search of the kiss by Rodin and art deco. * I hope you will get your cruise one day :-)! What an astoundingly talented friend! It must be a real joy to have such a person in your surroundings. What a lovely expression, our 'village adventure'. And we shall now, Jessica, certainly think of it as just that. Indeed, all future trips into the country will now be termed 'village adventures'. We love it! Yes, it is a very pretty place and we are much looking forward to a couple of nights away. Kapolcs is, as you may imagine, a very pretty little village set in wonderful countryside. And for some reason it has a very vibrant and lively artistic community. We are looking forward to our short break. So much of the Hungarian countryside, so very different from that of the British Isles, is unusually beautiful ranging from the 'mountains' on the Slovak border to the Great Plain which stretches towards Romania. But, Linda, you are surrounded with some of the loveliest of countryside snd with a coastline which, from your recent images, is simply perfect. Yes, do look up CWE's own garden which we love but which is now open more commercially than it ever was in the past so may well have changed. As an architect, we rate him highly. How very, very kind of you. All we can say is that we feel exactly the same way. Yes, both the Kondors are exceptional people but to have left your home and country at the age of sixteen, to have escaped across the heavily guarded border and to have not seen your parents for another twenty-five years does, we feel, say something abour character! Paris and Normandy. What an absolute treat. A wonderful city and exceptional, and interesting, countryside. We hope that you will post! Thank you so much for your comment about our blog. We feel that if you were to follow it, then the answers to your questions would become apparent. As we are sure you would agree, and find yourself, people are endlessly fascinating and, in our view, each has something very special to contribute. Have a really good week with, we hope, your camera at the ready! Hope you have a memorable visit with your interesting friends in what looks like yet another beautiful part of the world. You certainly do have some fascinating friends, Jane and Lance. A wonderful visit for you coming up. It sounds like your friends live in a fairy tale-like country-side. And what an excitiing back-story. Maybe the stuff for a screenplay? The village looks lovely! Have a wonderful visit. Your friend's photos are brilliant. Ah, Jane and Lance, what a Beautiful village; I could print that photo and just gaze for hours! Please tell Laszlo "thank you for serving". His photos are wonderful and I anticipate, with pleasure, your blog entry about your visit. Thank you so much. Yes, it will be fun to be away for a couple of days or so and we are always assured of a very good time with the Kondors in Kapolcs. And, as you say, it is a very pretty part of Hungary. We are, we feel, so very fortunate to have so many really good friends both here, which we really regard as home, and also in the UK. And you are right, it promises to be a very lively and fun weekend. It is indeed a very pretty part of the country and totally rural which makes a very pleasant change and contrast for us. But if there are bird scarers then.....!! We shall, of course, pass on your message to László. And although after so many years away he has returned to what is, after all, his homeland, he is exceedingly proud of his American citizenship and would never, for one moment, consider changing that. What an amazing life story--Laszlo must be a very strong man to have gotten through all of that. Have a wonderful visit. I look forward to hearing about it. If I haven't said this before, I must say it now. I do so enjoy visiting here and reading your posts! Your writing and images truly place me alongside you at wherever you're visiting. Do keep us posted on your latest journey. Enjoy the company of your dear hosts! We hope you have a very nice stay - what a charming combination of hosts and location! Yes, we think so too, and many others like him. 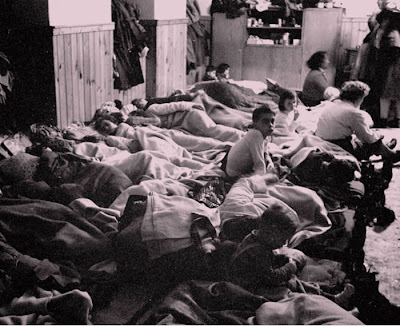 In the winter of 1956 over 200,000 Hungarians escaped across the border somehow into Austria. Most had absolutely nothing beyond the clothes they were wearing. Thank you, we are looking forward to our extended weekend away. Thank you for such a very kind and generous comment. We are sure that after our little break in Kapolcs we shall return with all kinds of things to be shared in future posts. Thank you, Bill and Leo. Whatever, we know that Linda and László are most generous hosts and so a very good, and interesting time, is guaranteed. I happened upon you by chance, reading your comments on 'Blue Fruit'. Intrigued I found your blog and, well... you had me at 'about us'. Looking forward to your further posts. We are so pleased to welcome you as a Follower and are glad that you share our interest in 'Blue Fruit' which is a most engaging blog. We look forward to our continuing dialogue on future posts. What an extraordinary life! And then a good cook and host too! It couldn't be a better recipe for a wonderful time together. You are absolutely right. A winning combination in our book!! Sounds like a lot of fun. I shall earmark this area for a visit. We certainly anticipate having a fun time. And, yes, it is a wonderful area to visit. What a beautiful village, and what interesting hosts. Photographers are by nature great observers of life, and I imagine that you'll have many interesting conversations. We totally agree about photographers. Always an eye for detail and an ability to capture a sense of place or person. Yes, we are sure that a good time will be enjoyed by all! What a fascinating life story your friend has. I am sure he has lots of interesting stories of his adventures. It sounds like you will have a wonderful little getaway to the country for a few days. Have fun and enjoy! I would surmise that fun and adventure follow you both where you go, and thus requires little anticipation. Have a wonderful time with your friends! Have your photo taken for us! Absolutely wonderful, sounds like a super break with terrific company. Enjoy your adventure. László is certainly a wonderful raconteur and just sometimes one is unsure where reality stops and fantasy begins. Still, his real life adventures are incredible as they are! Having turned down Snowdon, Bailey, Beaton and Testino in our time, dear Mise, you shall probably have to wait a little longer yet for a photograph!! Still, if Tatler continues to press, then we may well give in!!!! The shores of the Balaton cnnot, of course, dear Jason, compare with Shoreham by Sea, but we shall make the best of it! As always when I stop in at your blog I am swept away into another place and time that seems oh so much more, well, you know, COOLER than mine. Just once I think you should have an adventure squashing gum drops or plotting revenge on your tacky neighbor, that tramp Theresa or buying old magazines from dead hoarders. Sigh. The village looks serene and your friend's work divine. Have a lovely time, and if you do see a gum drop, squish it for me, will ya? Thank you for your most amusing comment which, like your post of today,really made us smile. Linda is a most talented cook and so we do not anticipate gum drops being on the scene for squishing or otherwise. However, László is an expert with the fly swatter, so important for handling the mosquitos! As for your own life. Well, from where we are looking it certainly looks as COOL as it gets. I could not think of a better way to spend a few days away, than in the company of dear friends. The area you will be visiting looks quiet beautiful. And I imagine there will be no need to pack mackintoshes and wellington boots! I do hope you both have a very enjoyable trip. I am curious to know what happened to Laszlo's brother? I presume he also was young when they escaped together. Well, we are certainly hoping not to need wet weather gear but the forecast is for thunderstorms later in the week so we shall see! As for László's brother, we realise that we are not entirely sure of his whereabouts now although we do know that he did not go to the USA. This will, most definitely, be a topic for discussion. I wish you a happy sojourn in the company of civilised friends. What could be better in this life. *sigh* Hungary lost a lot of great citizens in 1956. Think of all the talent that found itself in whichever countries would take them in. Tragic for the families and for Hungary; great for Australia, USA and Israel in particular. Hi Jane and Lance...me again! anyway I've fixed the problem now. Not everyone retains that youthful feeling of being invincible. It is a rare person who lives through political turmoil, loss and war and still embraces life to the fullest. No wonder you cherish your friends! Your description of the countryside makes me want to grab my passport and go! Thank you so much. Although we shall only be away for a couple of nights or so, we are much looking forward to the break. And the Kondors are, as you would imagine, excellent company. That is very generous of you. Thank you so much. But it does not always work out that way - we have in our time met some absolute horrors! Yes, such a very tragic waste for any country. And for completely different reasons the same is happening now, mainly with the young who, unable to find work here, are leaving to build new lives across the European Union. It is a National problem of which the government is very conscious but seemingly unable to find a solution. Now, the different time zones are something we have great difficulty working out. Sometimes we have comments left, as you must too, which appear on an entirely different day. Your blog is, Claudia, one of our all time favourite design ones - always a source of inspirational ideas. We are sure that you would really love this part of Hungary but, unlike your wonderful part of the United States, there is no sea at all. However, Lake Balaton is very pretty, especially on the north side, and is popular during the summer months when good weather may almost be guaranteed. Thank you. Of one thing we are fairly certain, we shall return with tales to tell. Only this very afternoon Linda telephoned with the promise of yet more exciting things to be! And soon we shall be on our way! Having had such a life as that, would make his current life one of immeasurable sweetness. Without the downs, the ups are simply not appreciated by our fair species, it would seem. A visit filled with country walks, antique shops, fine wine, good food and fascinating discussions over dinner - why, is there anything finer in life than these simple pleasures? Thank you for your wonderfully witty and thoughtful comments, too, by the way - I am always so delighted to read your thoughts. That picture had the power to take me away....how utterly beautiful! Like a postcard and your time there sounds like a dream weekend!! What wonderful things they have planned for you...look forward to hearing all about it. Enjoy! We do so agree that to appreciate fully the joys of life, then most likely it is necessary to have something with which to compare the good times against. Whatever, it is difficult sometimes to imagine what others have had to endure. Thank you, but we do so enjoy your posts and very much look forward to reading them. It is indeed a wonderful area of Hungary, Tina, and we are sure that you would be captivated by much of the very beautiful countryside. On our return we are certain that there will be much to write about! A remarkably idyllic way to spend some time ... but your fascinating exploration of the past life of your friend makes one realise the uncivilised is never far from the surface. And all so different to life in this much younger country downunder here in Australia! We never cease to be amazed at the multi-layered composition of people's lives. As you say, so very often there is so much more beneath the surface than at first meets the eye. Thank you for your lovely comments on my post and I am so pleased that we have 'met' so to speak, compliments of the charming Suze. I was so taken by the photograph of the Hungarian refugees in 1956, it was the year that I was born... to think that as I took my place in the world there was bravery unbound, selfless gestures being shown, art to swoon over, music to cry tears of happiness to, literature that you can't put down, fashion to 'need', love and camaraderie and I knew not until so many years later. Oh this world is indeed a treasure. 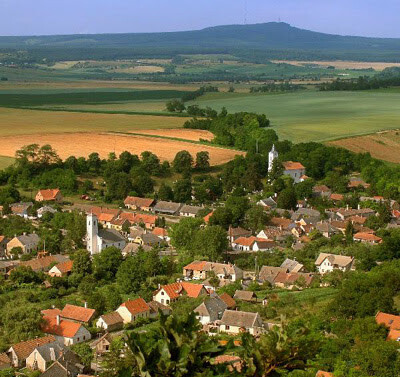 Blimey, from a distance, the wonderful Hungarian village looks similar to an archetypal village in Southern England ... a lush and nestling place. I have to say, it is really interesting hearing about Hungary, because it is a place I have never visited, nor thought about visiting. But, your posts are rapidly whetting my apatite. Talking of apatites, dinner under the stars cannot be beaten if one is in a temperate climate! Sounds like you had a great time. What a fascinating story! Have a nice staying at Kapolcs with László Kondor and his family! Yes, we often think in a similar way of how very different our lives in the 1950s and 1960s were in comparison with the Hungarians and others within the former Eastern Bloc. It does make one very grateful for all the years of peace which we have enjoyed. We were delighted to discover your blog and to sign up as Followers. We hope to welcome you here again. The area in which Kapolcs is situated is, as you say, so very reminiscent of the English countryside and is very different from other parts of Hungary. We are so pleased that you are enjoying the glimpses of Hungary and do so hope that you will be inspired to visit one day. We are sure that you will find much of interest. There is nothing so fascinating, we find, as the lives of others. His sounds so familiar, having grown up in East Germany and left before the wall came down to West Germany.. and later to America. Although mine is not as dramatic, his story sounds familiar. And he is so accomplished. Such great artwork! Enjoy your time together, I love Hungary, spend one lovely summer there when I was 20 years old! Kapolcs looks so dreamy. I visited Hungary last December and fell in love. Sorry I missed this beautiful little village. Having experienced life in the DDR, you will be only too aware of the very great contrasts which existed between countries on the two sides of the Iron Curtain. To leave one's country entirely, as you and, indeed, László have both done cannot be readily imagined. We are so fortunate that, at least in Europe, times have changed for the better in this respect. Kapolcs is, as you may imagine from the picture, a very pretty little village set in wonderful countryside. We are delighted to know that you have visited Hungary on your travels in Europe. We are pleased to have discovered your blog and to have signed up as Followers. We shall hope to welcome you here again. Dearest Linda, it is always a pleasure to visit you on your blog. And, your daughter looks so bright and pretty with just a touch of the mischief...adorable! Your photograph of this lovely area you are to visit looks straight out of a book of fairy tales ~ just magical. As to your friend, I well remember the courage of the hungarians during the uprising. Later we were able to know some of them very well...such bravery. His photography is wonderful! What an amazing story. Such bravery and zest for freedom and life, and so talented too - some rare individuals are truely incredible human beings. From what you say I am sure you will have the most wonderful time, and the setting looks marvellous. I hope you both enjoy your break! Thankyou so much for your wonderful comment on my recent post - I do love my kitchen, and beyond freshening it with paint plan no changes.I feel very lucky to have found it! You bring your readers on the most wonderful adventures, taking us to lovely places and introducing us to the most interesting people! The Kapolcs looks very beautiful, and your description brings it to life. I'm most fascinated by László - his life of adventure, of taking risks and his beautiful photography. The combination must make for a wonderful trip! I hope you enjoy each moment! Somehow, I think you always do! I hope you are having a wonderful time. Thanks so much for sharing the photographs! As always, your post never disappoints your readers. I find with your posts especially this one...I enjoy reading your comments as much as your post. Enjoy your adventures! Have a most wonderful time Jane and Lance! Your friend's life sounds so amazing. I really enjoyed reading about him. Such courage in times of struggle in his country of birth and then when defending his new home. I love the "Staircase" photo. Dear Jane and Lance, the countryside looks wonderful as does Låszlo's work. I can't believe I missed this post! where was I? This sounds like a perfect getaway with interesting conversation. When I as in high school, I wanted to be a photojournalist. First stop: Viet Nam. What a silly, idealistic girl I was, although it would have been an interesting life, had I survived. Many were not so fortunate. I'm so glad your friend was able to record this time and then live to share their life with some fine friends, like You! lovely to at last be able to come back over and read your great posts. Hope all is well with you and you're enjoying your adventures. Kapolcs looks absolutely beautiful, I hope you had a marvellous time though it doesn't sound like there will be any doubt about it. Your friend Laszlo Kondor must be fascinating company, what a life to have led. We had a dear friend, who signed up for the merchant navy under age, his ship was torpedoed off Murmansk and he was a prisoner of war at a young age. As so often seems to be the case, despite his terrible experiences, he was a wonderful happy character and just the best company ever. Thank you so much for visiting and following my blog - and for your kind comments. I'm honoured! I look forward to hearing more of your adventures - they seem to be very different to mine and therefore fascinating!! Yes, you are so right, the countryside does indeed look magical. The more we hear about the Hungarian uprising the more we realise just how normal life was made impossible for countless thousands of people. And, it did lead to a massive 'brain drain' from the country at that time. We have just returned from Kapolcs and had a most wonderful time. The Kondors' zest for life is undiminished and, as you say, there are some people in life capable of the most heroic acts. László is certainly one of those most remarkable of human beings. László is indeed a most talented photographer and his Vietnam work is truly remarkable. The sense of place and human study which it incorporates are absolutely wonderful in our view and so incredibly moving. We did have the most wonderful of times. Thank you. You are always most generous and kind, for which we thank you. We do find that people have such amazing stories from their lives to tell that they are even more remarkable than fiction! We love hearing and writing about it all. We are home and recovering from our whirlwind of a weekend! It was all great fun. Yes, the figure on the staircase is beautiful and, for us, asks more questions than it answers. Evidently, the staircase was in a Chicago bank and the woman was wearing László's tuxedo! We have just returned and have thoroughly enjoyed our time away. We always find such short breaks incredibly refreshing and invigorating. We do hope that you will have a chance to get away too. You work so hard and it is so necessary to 'recharge' the batteries from time to time. Whatever the weather, a change from the usual routine is good. Of all his photography, it is work from Vietnam that László is most proud. And, as a serving soldier, he was able to get so close to everyone and every situation that the results are extremely powerful. We do believe that a permanent exhibition of these most moving, and at time, harrowing images is fully deserved. We did indeed have the most wonderful time away. Good food, great company, beautiful countryside and the liveliest of conversation. It does not get better! One can only admire people such as László and your friend who have come through the most terrible of circumstances but are still able to have a joy of life that is infectious. We feel very privileged to know him and, of course, there are always the most amazing stories to be told!! We are dleighted to welcome you as a Follower. We may be in different hemispheres but it all adds to the spice that is life! You are right, the plot thickens! And we are still not sure as to how it all came about. Lovely to have found your blog. Am in awe of your beautiful bathroom. Love everything about it - the parquet flooring is so gorgeous. Lucky you being there and in Brighton. Will be following your adventures. Thank you, Annie x. Thank you so much for such a kind and generous comment. Parquet flooring in Hungary is, in fact, quite commonplace whereas in the UK it is always very expensive and so seldom seen apart from in old buildings. Yes, we do think of ourselves as very fortunate to be able to divide our time between Brighton and Budapest. Great posts and photos! Love it! That is both very kind and generous of you. There is so much of interest to be found in Hungary. Morning! I have nominated you for an award. Please don't feel obliged to accept bit it's here if you would like to. How really kind and very generous. We are both honoured and flattered. Your friend is a very talented photographer, and I enjoyed reading his life story. The photograph of the figure on that wonderful curving staircase is beautiful in its lines. The post made me think of the exhibition at the RA this summer: Eyewitness which was about 20th century Hungarian photographers. I spent hours looking around the rooms...perhaps you were there too? Very annoyingly this often happens to us too. A comment is written, one clicks on 'post comment' and then, for totally unknown reasons, the whole thing disappears never to reappear. We are so sorry that this happened to you. Your overwhelming support of our blog is so much appreciated - we just wish that you were continuing with yours. Such tales to be told of your course and fellow students!! And now we are shamed again for not only have we not visited Kenwood [to which we have admitted in our reply to your comment on 'The Truth...It'] but now we have to say that we were not in London for an exhibition which we should have found deeply interesting. There are/have been, to our certain knowledge, some exceptional Hungarian photographers.